Look what happens when I’m left unsupervised in Selfridges. Look. I obviously didn’t need any highlighters – case in point here – but oh well. At least I’ll never get lost, because my skin will be like a beacon always. 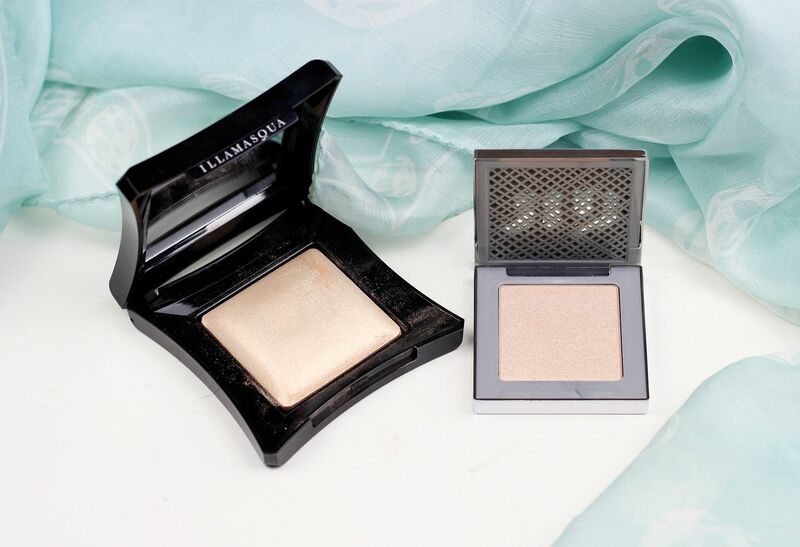 I was really excited about both of these – the Illamasqua beyond powder in OMG is just so gorgeous. It’s a huge pan, and the product is all baked so it’s silky soft – this is one of those highlighters that melts into the skin and gives a really ethereal finish. It’s not too strong and obnoxiously in your face, but it makes your cheekbones look all polished. Uhhh, it’s gorgeous and you need it. I also grabbed the Urban Decay afterglow highlighter in Sin, which is another champagne highlighter but gives a stronger glow to the skin. The finish is not as soft as the Illamasqua, but the sheen is stronger. OMG is swatched on the left, and is a soft champagne with the prettiest golden sheen in that catches the light beautifully. Sin is on the right, and is much icier in tone – it’s cooler, and almost has a slightly silver finish that works perfect in the inner corner as well. 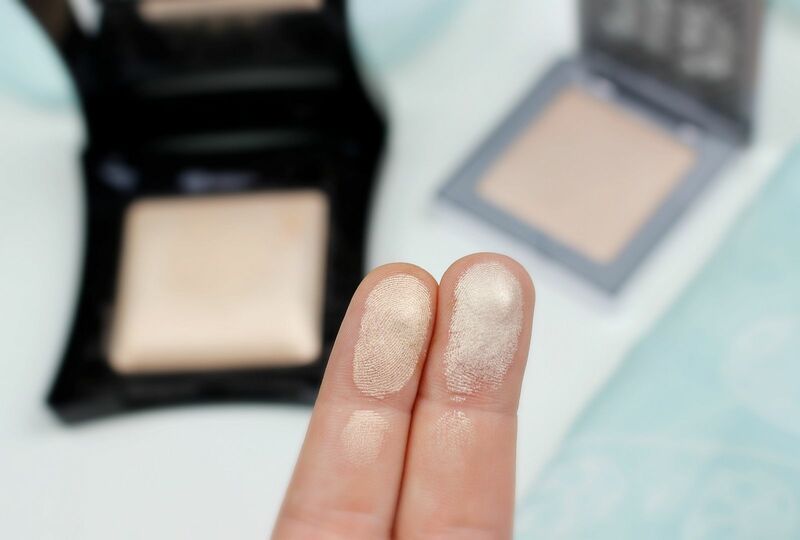 Are you as highlighter-obsessed as me?